When we consider fasteners, Bolts, Nuts and Washer we assume steel or alloy product; there are significant markets for fasteners in Plastics, Nylon and Polypropylene. Specialist Fastener companies stock a full range of products and can produce a whole range of unusual and coloured fasteners in these plastic materials. Fasteners produced from nylon have unique properties that make them ideal for a variety of functions. When nylon was first developed in 1935 by Wallace Carothers at DuPont it was initially intended to be a cheap and mass produced alternative for silk with ladies nylon stockings, one of their first products. It was not long before nylon was moulded into many other products and this was extended to Bolts, Nuts, Screws, Washers and many other industrial fasteners. Nylon fasteners are non-conducting, non-corrosive, non-magnetic, durable, impact resistant and lightweight. These characteristics are essential for applications involving electricity or Chemical environments. Plastic fasteners are a key development in the fastener market, the growth in sales of plastic fasteners, especially Nylon fasteners is remarkable. Supported by technology breakthroughs achieved with composite material Research and development. Unlike metal fasteners which are heat treated and cold or hot worked; plastic fasteners are produced by injection moulding. Technology developments have imparted plastics performance features on par with metals such as material toughness, corrosion resistance, and heat resistance. Different types of plastic fasteners that are growing in popularity in automotive applications include Nylon, Acetyl, Polyvinyl Chloride, Polyvinylidene fluoride or PVDF and Phenolic based fasteners. The number of plastic fasteners used in an automobile is steadily increasing, with the development of polymer composite plastic fasteners, and shape-memory polymers that are helping to expand the use of plastic fasteners in automobile engineering. Stringent fuel efficiency legislated by governments worldwide, and the ensuing focus on designing lightweight vehicles is driving the use of Plastic fasteners. To benefit from the growing preference for advanced lightweight bolts, screws, washers and nuts; conventional fastener manufacturers have begun to expand portfolios to include plastic fasteners, especially Nylon fasteners, which are growing in popularity. Technological breakthroughs achieved in composite material research and development, glass and metallic fillers are often used in combination with plastics to enhance the strength and performance. Unlike metal fasteners which are heat treated and cold worked, plastic fasteners are produced through a process called injection moulding. Technology developments have imparted plastics performance features on par with metals, for example, material toughness, corrosion resistance, and heat resistance. Corrosion resistance, even when exposed to moisture, is regarded as a significant benefit of plastic fasteners over stainless steel fasteners. Also driving the use of plastic fasteners are the stringent fuel efficiency norms legislated by governments worldwide. Automotive manufacturing is currently evolving to comply with the growing concept of light-weighting of vehicles to reduce emissions and improve fuel efficiency. 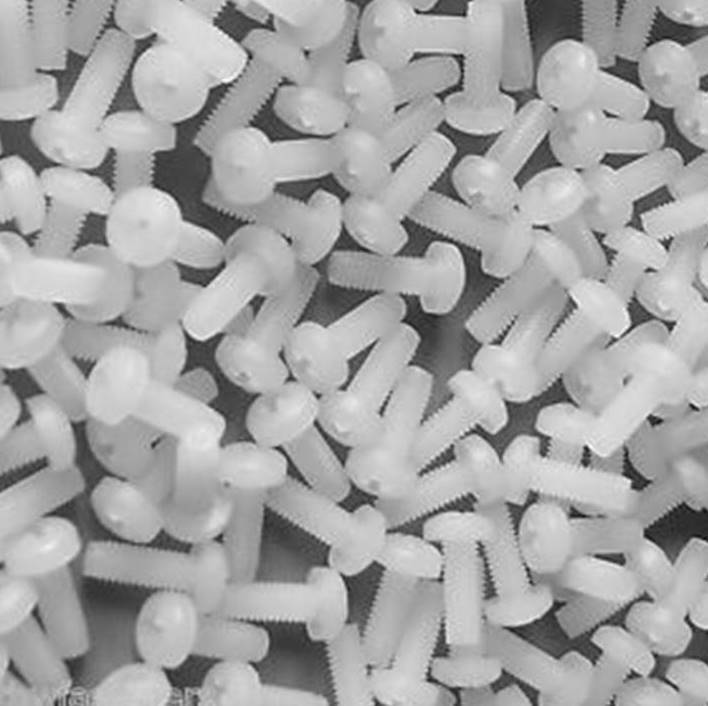 Nylon, Acetyl, Polyvinyl Chloride, Polyvinylidene fluoride or PVDF and Phenolic based fasteners.